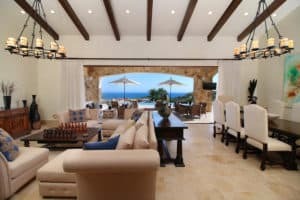 Casa Lieber, located in the exclusive Fundadores neighborhood of Puerto Los Cabos, is an exquisite blend of Greek and Spanish neoclassical architectural design. 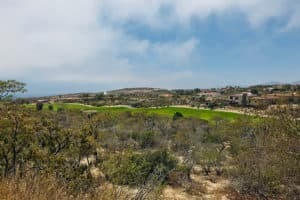 Sitting on over half of an acre of lush tropical landscaping, second row from the sparkling blue Sea of Cortez, this home is not only a residence but an experience. A palatial living wall at the entry sets a distinctive tone that this four-bedroom, four-bathroom, 12,000-square-foot villa. Ample double master suites set the tone for relaxation; customized luxury ensuite bathrooms with floor-to-ceiling Sicis translucid mosaics and rainfall shower in one and a handcrafted copper vintage bathtub in the other. The indoor-outdoor Baja lifestyle is showcased with fully retracting sliding pocket doors that reveal an elegant dining room with Terra Cota marble throughout and gorgeous fireplace under a grand brick barrel-vault ceiling. A stunning arcade veranda expands the living space with steps that lead directly into the infinity-edge lap pool and spa. A fully equipped chef’s kitchen, floor-to-ceiling wine cellar, wet bar, and theater room. Cantera columned pergolas lead to two private guest suites separated from the primary residence by a tranquil water feature. 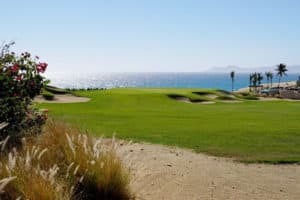 Puerto Los Cabos is a 2,000-acre luxury beachfront golf community know for its eighteen-hole Jack Nicklaus Signature Golf course and nine-hole Greg Norman Signature Golf member’s only course – with another nine soon to be opened. 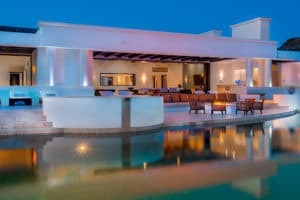 The comprehensive amenities include a world-class private beach club, tennis center, kids club, fitness center, and Puerto Los Cabos Marina – home to 200 slips that can accommodate up to 250-foot mega-yachts. 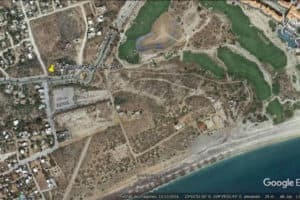 All comfortably located within a 10-minute drive from San Jose del Cabo and 20 minutes from San Jose International Airport. 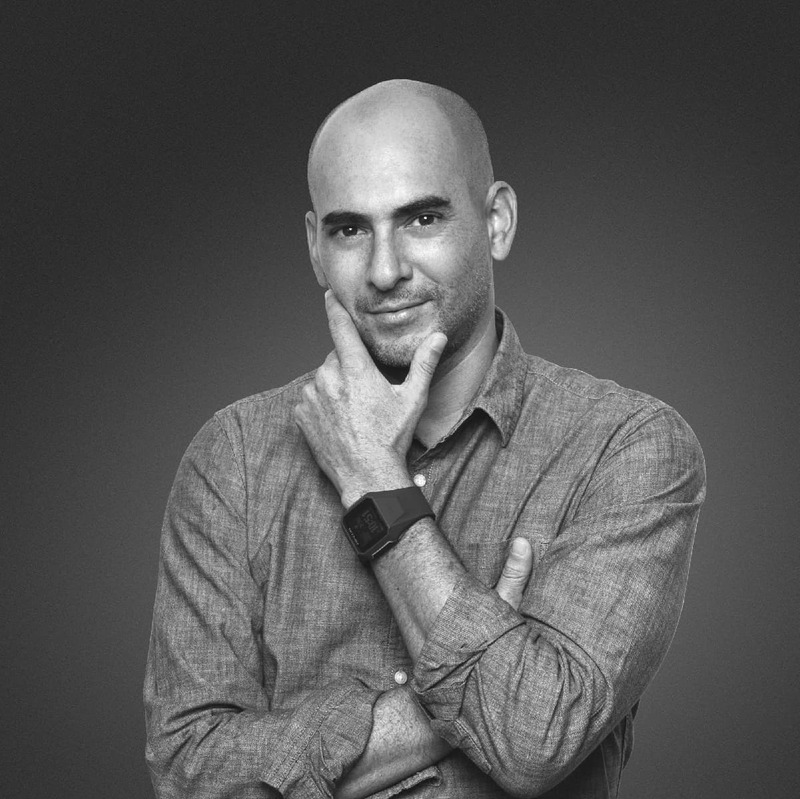 Based out of San Jose del Cabo, BCS, Mexico, The Agency is a Luxury Real Estate brokerage, an independently owned and operated licensee of UMRO Realty Corp.
© 2019 The Agency Los Cabos, All Rights Reserved.